Prime Minister Benjamin Netanyahu condemned Saturday new legislation in Poland which bars any mention of crimes by the “Polish nation” during the Holocaust, calling on Israel’s ambassador in Warsaw to meet with the Polish prime minister on the contentious bill. “The law is baseless. I strongly oppose it. History cannot be changed and it is forbidden to deny the Holocaust. I ordered the Israeli embassy in Poland to meet with the Polish Prime Minister and express my firm stand against the law,” Netanyahu said. The deputy Polish ambassador in Israel has been called in for a reprimand at the Foreign Ministry. The Polish ambassador is currently abroad. “I utterly condemn the new Polish law which tries to deny Polish complicity in the Holocaust. It was conceived in Germany but hundreds of thousands of Jews were murdered without ever meeting a German soldier,” Lapid tweeted Saturday. 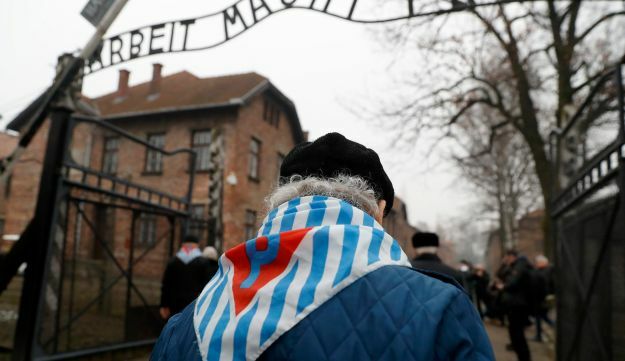 The law also forbids use of the term “Polish death camp” to describe the death camps where Jews and others were murdered in Nazi-occupied Poland during World War II. Anyone who violates the new law, including non-Polish citizens, will be liable to a fine or imprisonment for up to three years.